We’d like to introduce you to Ekaterina and Nina – two top performers from the world of investment banking and strategy consulting (respectively). Having met at university, years later while living and working in Zurich and Frankfurt at the time, they decided to quit their jobs to start their own company. Dramatization, that actually never happened. In their previous lives, they were accustomed to working long hours, and having very little time to sleep or workout. This made them realize that something was missing – a place where somebody could have a quick, delicious, and healthy meal. A lunch spot for all the hard working individuals out there. After working on the idea for a year, they opened their first restaurant, What the Food! – which served healthy fast food in Frankfurt. In the red light district. Next to a scientology office. And a weapons store. What could go wrong? Things were going well – their concept was a hit, and the restaurant was a popular spot during lunch hours. 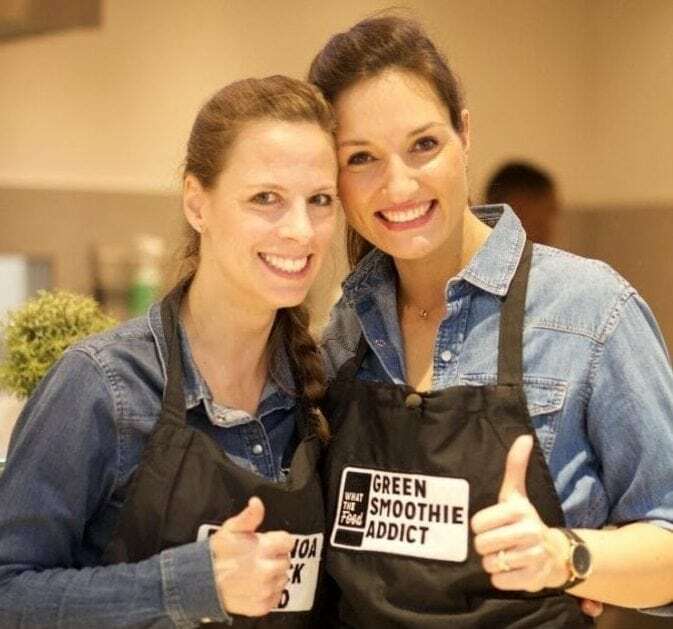 Mistake 1: Immediately after opening the first store, Ekaterina and Nina worked on expansion – another What the Food! location. But in order to be able to expand and open more locations, they needed capital. So, like the last time around, angel investors were wooed, and a round was quickly closed. Unfortunately, one investor pulled out their investment, just 18 hours before the notary appointment. In such a short time-frame Ekaterina and Nina just couldn’t close the gap. Their momentum was lost, and not even 40 more pitch meetings could help. Mistake 2: After winning a competition for a location, Ekaterina and Nina set up their second location in a shopping center in the heart of Hamburg. Unfortunately, as it turns out, people strolling for clothes and other things didn’t necessarily want to take the time to decide on what to eat. Burgers, french fries, and pizza work in shopping centers. New, healthy, options did not. Finally, they were able to sell the rental contracts for attractive prices, and didn´t close the store right away to make some sales. We are still alive and we are still proud of ourselves. We learned a lot from the mistakes, and have many stories to tell. Now that’s something that we can all take to heart. Bon appétit, Fuckuppers.